Commonwealth Stamps Opinion: 1327. 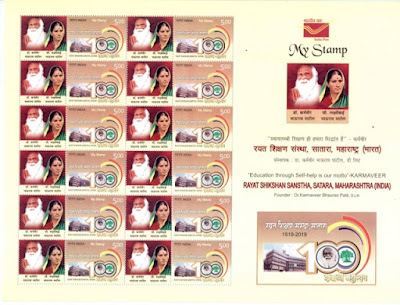 🇬🇧 Miniature Sheet Celebrates Great British Stamp Issues. 1327. 🇬🇧 Miniature Sheet Celebrates Great British Stamp Issues. 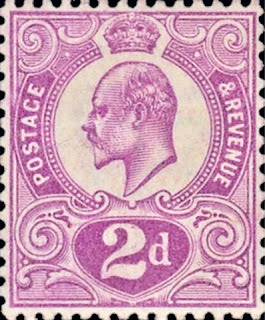 🇬🇧 The invaluable site - Norvic Philatelics Blog - has drawn attention to news of an early Royal Mail issue of 2019. 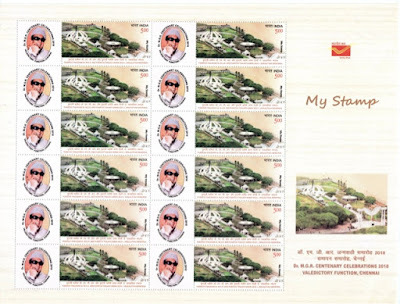 In the September Newsletter of the Royal Philatelic Society of London (due to celebrate its 150th anniversary in 2019) was announced that Royal Mail will issue a miniature sheet on 15 January 2019 to commemorate this notable philatelic anniversary. As illustrated below, the announcement reveals that the sheet will include a stamp to represent each reign and the featured stamps will be the 1891 £1 green, the 1910 Tyrian plum 2d, the 1913 2/6d Seahorse, the 1936 Penny ha'penny, the 1940 Halffpenny Penny Black Centenary commemorative and the 1953 Tuppence Halfpenny Coronation commemorative. It sounds like it will be an excellent issue. 🇮🇳 In Blogs 1235 and 1288 I covered the subject of My Post issues by India Post released during 2018 up to 7 July. Further issues are now listed below. They follow the usual pattern of being issued as 12 stamps with attached labels per sheet sold at a premium price. 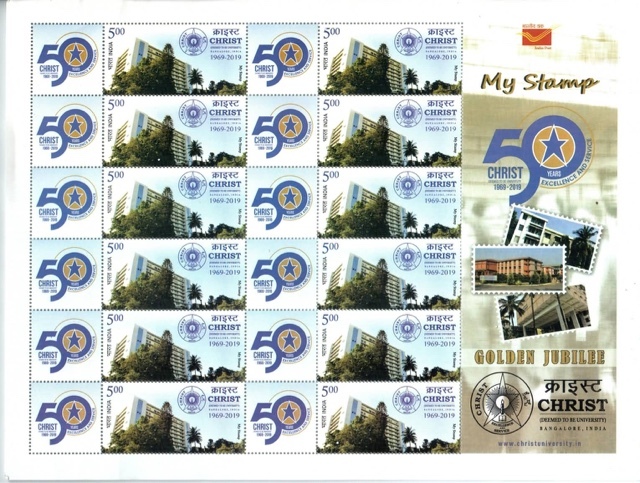 11 July - 50th anniversary of Christ University, Bangalore. 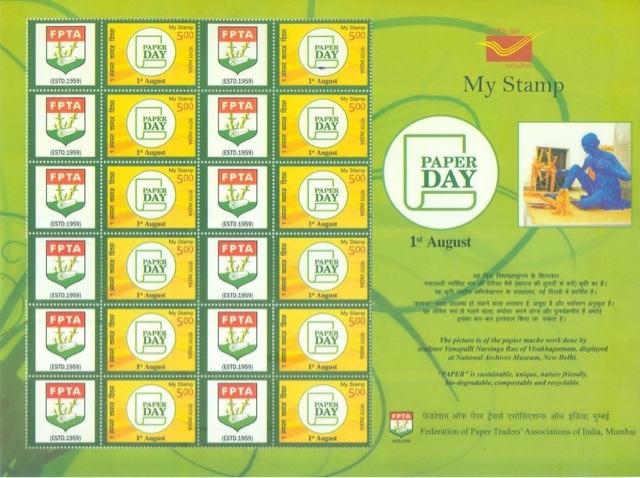 1 August 2018 - Paper Day. 15 August 2018 - Kurunji, Kerala. 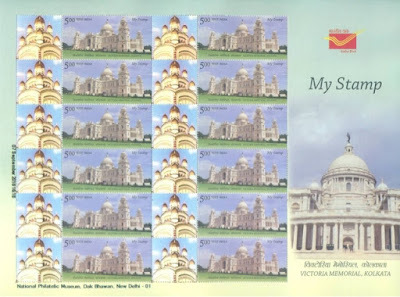 August 2018 - Victoria Memorial, Kolkata. 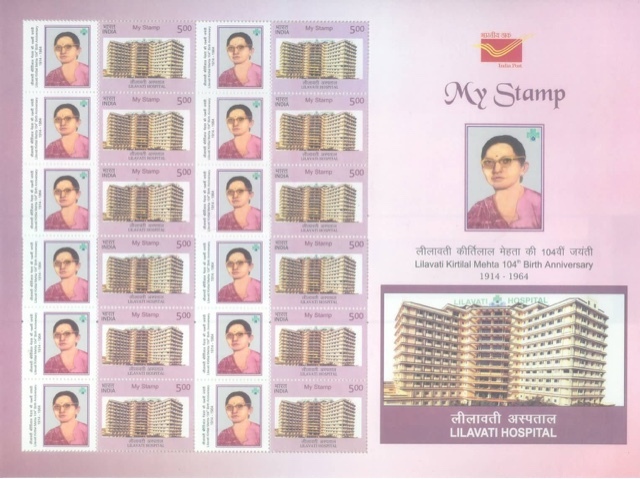 29 August 2018 - Commemoration of Lilavati Hospital, 2 sheets. 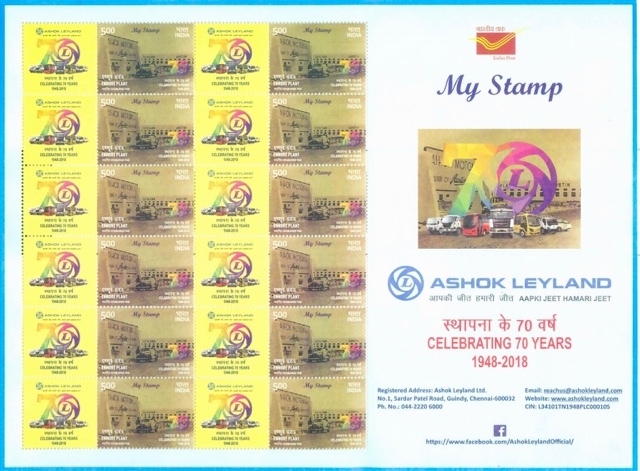 7 September 2018 - 70th anniversary of Ashok Leyland. 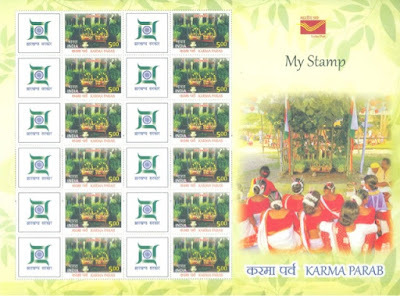 18 September 2018 - Karma Parab. 30 September 2018 - Dr MGR Centenary, Valedictory Function, Chennai. 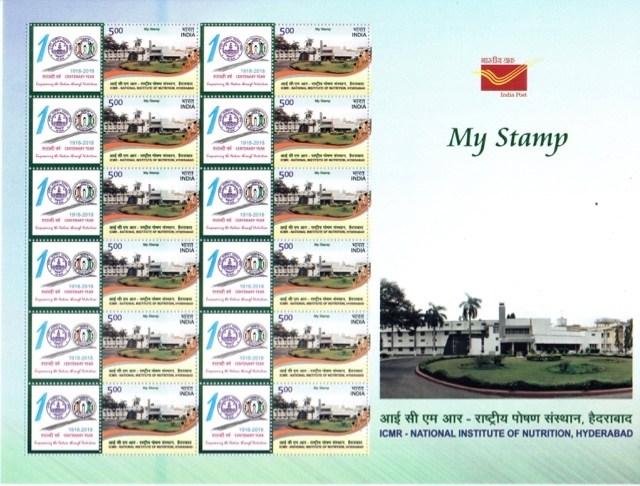 October 2018 - Centenary of the National Institute of Nutrition in Hyderabad. 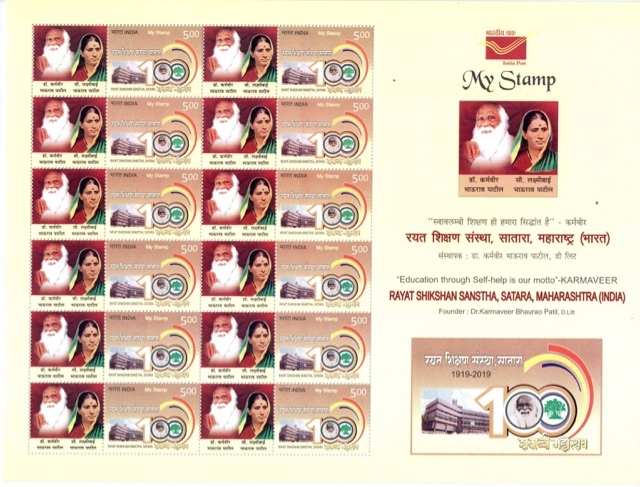 4 October 2018 - Rayat Shiksan Sanstha. 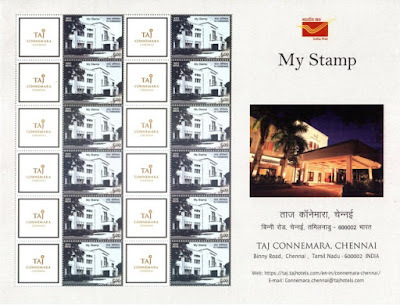 October 2018 - The Taj Connemara hotel, Chennai. 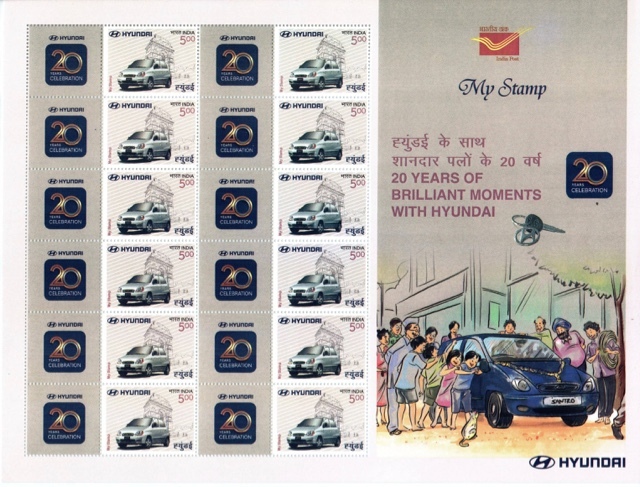 October 2018 - 20 Years of Hyundai motors in India. 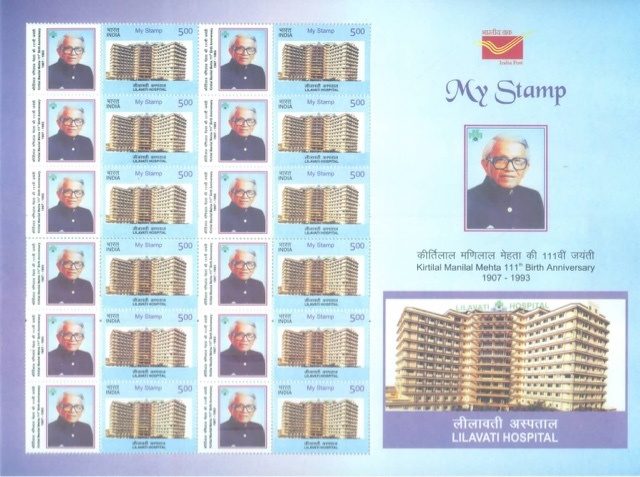 That premium price for the MyStamp sheets (face value 60 Rupees) is 300 Rupees! 5 times the face value. These stamps belong in the appendix listings of SG and other catalogues. 1343. 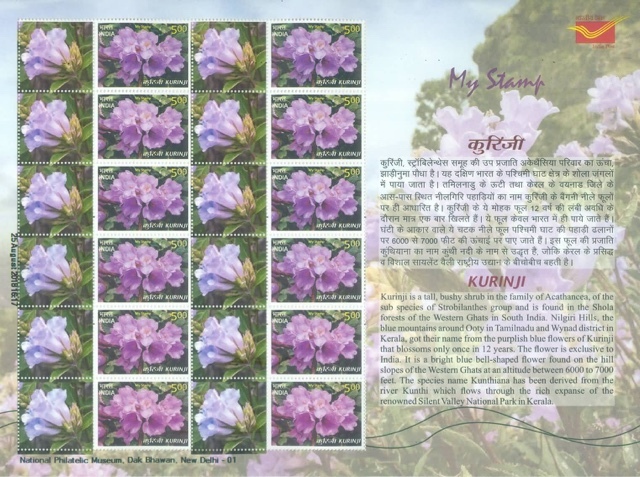 🇰🇮 Kiribati Lest We Forget Stamps. 1342. 🇱🇰 Lighthouses Of Sri Lanka. 1341. 🇮🇪 Ireland Joins La Francophonie. 1340.🇵🇰 Pakistan Commemorates Former Diplomat. 1339. 🇹🇿 New Surcharges From Tanzania. 1338. 🇺🇸 Yet More Excess From IGPC. 1337. 🇮🇴 Snow Falls In The Indian Ocean. 1336. 🇲🇻 Maldives To Rejoin Commonwealth. 1331. 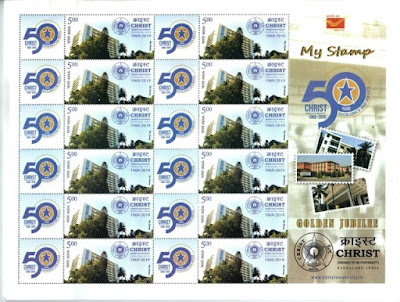 🇲🇾 Stamp Week In Malaysia. 1328. 🇨🇾 Cheerful Christmas Stamps From Cyprus.